Eaton’s filtration business combines worldwide engineering, manufacturing, technical sales support, and customer service into one focused business objective: Provide our customers with the optimum manufacturing or industrial filtration solutions. Purolator is a name synonymous with quality filtration throughout the world. From its beginnings in 1927 when a lampshade spawned the idea of a pleated filter (Purolator was the originator of the corrugated or pleated design), the company has evolved to offer a complete line of products for virtually all industrial sectors. Purolator Facet, Inc is a division of . Purolator Facet, Inc. is a creative engineering and manufacturing organization offering fluid mechanics and porous media technology to address specific needs for diverse markets. A host of custom and standard products is available for fluid filtration, fluidization, acoustic attenuation, separation, transpiration cooling and many others. Universal provides a full line of filtration technologies for gas turbines, compressors, blowers and diesel engines. 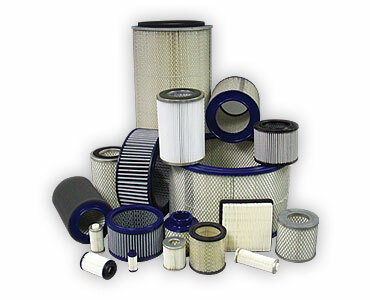 Whether you need replacement filters, replacement housings or a custom designed air filtration system, Universal has the design and manufacturing expertise. 3L Filters™ from CCI Thermal Technologies Inc. has exceeded the most demanding industrial filtration requirements for over 40 years. A broad range of standard and custom products includes liquid filters, strainers, separators, pressure vessels, and engineered products and systems. 3L Filters™ has special expertise for nuclear, petrochemical, water treatment and environmental applications. 3L Filters™ upholds the very highest standards of quality in the design and production of our filtration systems, which has made 3L an industry leader in our field. Products are specifically designed to meet ASME VIII Div. 1 and/or Nuclear SEC III CL-1 standards. Additionally, 3L Filters™ has the capability to design and build engineered filtration systems to customer specifications for virtually any application in any environment.